The pictures that you are about to see were studied by a professional photographer by the name of David Percy. He cliams that the light on the pictures could only come from a studio. 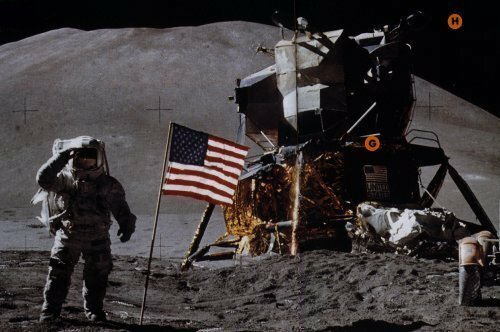 This picture is of Apollo 11's Neil Armstrong and Edwin "Buzz" Aldrin standing on the moonsurface. This picture was taking by a camera on the Lunar Module. 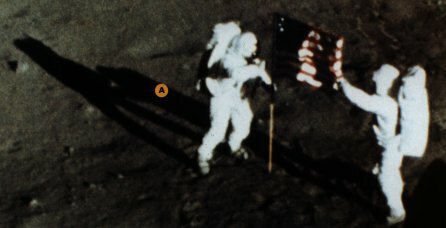 Take a look at the shadows and you will notice that Aldrin's shadow (A) is bigger than Armstrong's, while the only light on the moon comes from the sun. This picture is also from Apollo 11. The sun is shining over Aldrin's left shoulder. Look at his right shoulder, which is in the shadow. You can see to much detail (B) on it. It should be so dark that you would not be able to see anything. There is no atmosphere that can dim the light on the Moon so therefore the picture should be much clearer, but look at the landcape behing Aldrin (C) it fades slowly to darkness. 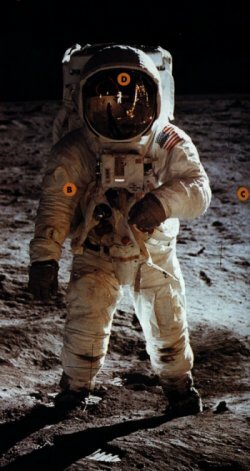 A strange object (D) reflects in Aldrin's helmet. NASA says that this object is apart of the equipment. 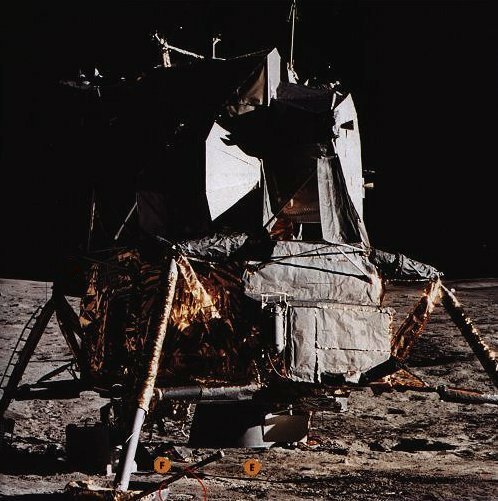 Look at the Apollo 14 Lunar Module and notice that there is no crater (E) under the Module. In Percy's opinion, the Lunar Module descends to the moon there should ba a move of a serious amount of sand. Look just to the right of (F) this looks like a footprint. Why would there be a footprint under the Module? 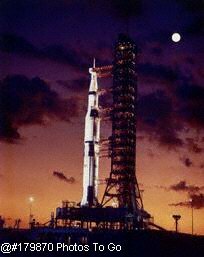 This picture is from the Apollo 15 mission. Since there is no atmosphere around the moon, you should see stars (H). NASA says that the sunlight was so strong that the stars vanish into it. Notice (G) that the shadow side of the Module, why are the words United States visible while the surrounding area is so dark? Has this picture been edited or does a spotlight make this effect?